Over the years of mentoring other design and construction firms, ENGworks holds a detailed list of processes that facilitate good conversation and aid in the management of a model. During the Model Management Process, ENGworks will aid in the setup, cleanup, and maintenance of the Design, Coordination, and Fabrication models, freeing your team to focus on the design and construction aspects of the project. However, we also believe that for certain endeavors a personal presence is required in order to increase communication, thereby maximizing efficiency. 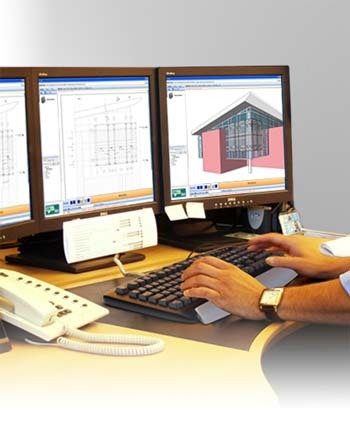 ENGworks can provide BIM Coordination on-site support by sending our BIM professionals to work at your location for a period of time ranging from a few weeks up to twelve months, according to the project’s characteristics. Our experts will assist coordination between trades and build rapport with your team in order to assure a successful project. In addition, we are able to use ENGworks offices as an additional resource for hosting meetings and/or furthering production through our refined online collaboration tools.